People have been disappearing in the Australian fictional landscape for years. In Picnic at Hanging Rock, the disappearance and of a group of girls is seen through the eyes of those left behind, having to deal with the “menace” of the unknowable bush. Wintering starts with a similar premise. Jessica is a PhD student researching glowworms in the far south of Tasmania. She lives with Matthew, a local who, it emerges fairly quickly, completely dominates her life. But then Matthew disappears in mysterious circumstances, his car abandoned by the side of the road, impenetrable forest on either side and a strange video on his phone. With his disappearance, Jessica finds herself both trapped by grief and free at the same time. Krissy Kneen sets the creepy tone of this book early with Jessica’s discovery of a possum corpse impaled on a stalagmite in a tourist cave. After Matthew’s disappearance the creepiness ratchets up as Jessica finds herself isolated in her shack, unable to shake the feeling that she is being watched by something malevolent. Once she starts to establish a connection with the local townsfolk she also learns that she is the thirteenth “widow” whose husband or boyfriend has vanished in similar circumstances. These women, led by a ninety year-old powerhouse called Marijam, take it on themselves to go out into the forest at night to hunt down, confront the force that threatens them. That threat is somehow connected to the thylacine, or Tasmanian tiger, a creature thought extinct since the 1930s but somehow supernaturally associated with the missing men. Kneen plays her cards very close to her chest, going for feeling over reason, creating a gothic, otherworldly atmosphere. But in that space she creates an ambiguity, leaving the faint possibility there may be a non-supernatural explanation for everything that goes on. 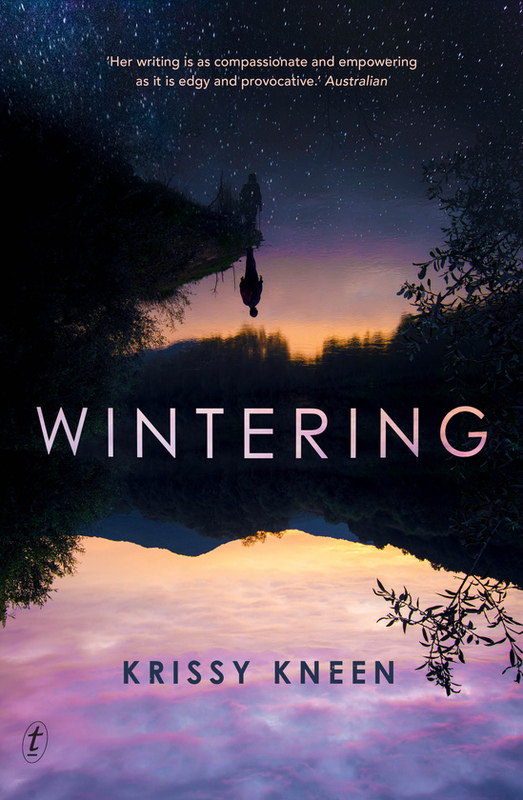 What Kneen also does expertly in Wintering is explore issues of domestic violence, abandonment and potentially even the impact of the ice epidemic on rural Australia through a supernatural lens. This review first appeared in Aurealis #116, Australian Science Fiction and Fantasy Magazine, www.aurealis.com.au.